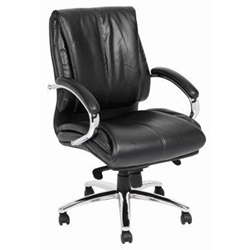 Features: Heavy Duty Executive or Boardroom Seating. Colours: Soft plush Black Polyurethane upholstery. Warranty: 5 Years Manufacturers warranty against faulty parts and factory workmanship. Load Test: Factory Tested to 180 KG.